The next generation FELIX Pro Series Hot-ends are interchangeable (universal hot-end for left and right). The highly accurate sensors will secure successful automatic calibration. 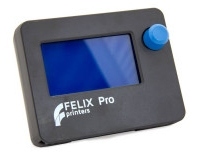 The FELIX Pro 3 hot-ends are fully made out of metal, to ensure a long lifetime and high durability. The hot-ends are designed to be durable, reliable and easily detachable. An intelligent system consisting of magnets keeps the hot-end firmly in it's place to prevent any unwanted vibrations during movement. It also allows for easy removal of the hot-ends. 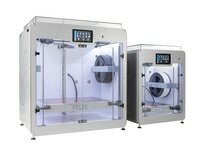 The detachable FELIX Pro 3 hot-ends enables the user to easily clean or swap the nozzles.